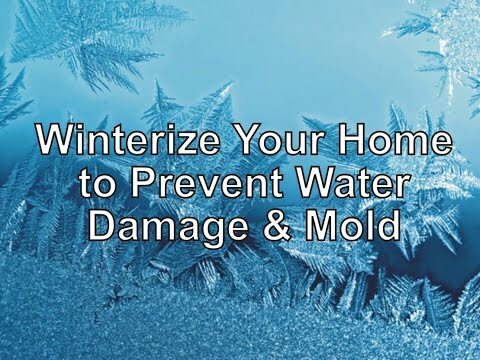 The indoor environmental quality professionals at Clark Seif Clark (CSC) provide advice on ways to winterize a home or other type of building. Being proactive is essential to preventing water damage that could result in mold growth or other threats to the structure’s indoor air quality. Even though the official start of winter is still several weeks away, many parts of the country have already experienced snow and freezing weather. During the winter season, strong winds, rain, snow and ice can all take a toll on a home or building. Damage from any one of these may allow moisture to enter a property resulting in damage and mold growth. One of the most damaging events that commonly occur during the winter season is burst pipes due to freezing. In fact, a recent study by ACE Insurance Underwriters found that water damage causes $9.1 billion in homeowner property loses each year in the United States. · Insulate exposed pipes and evaluate if the building’s attic, walls, basement or crawl space need more insulation. This is also a good time to check for signs of past water damage from existing leaks. · Be sure the attic is well ventilated. · Shut off the water to exterior hose bibs and drain those water lines if possible. Also shut off and drain the yard’s irrigation system. · Clean gutters and down spouts to make sure water drains properly away from the building and to minimize the risk of ice dams. · Inspect fireplaces to ensure they are operating properly and are not obstructed. · Caulk around windows, doors and other openings. · Fix any cracks or holes in the foundation. · Check for drafts and add weather stripping anywhere it’s worn or missing. · Have the heating system inspected before it’s needed to make sure it is operating properly and that there are no carbon monoxide hazards. This is also a good time to change the air filters and inspect for debris in the ducts. · Check the roof, flashing, chimney, siding and skylights for any signs of damage. · Trim back any branches that could cause damage to a property during a winter storm. · If the home is summer property or is going to be empty for an extended period of time, shut off and drain the water system. To learn more about preventing water damage, mold and other indoor environmental issues, please visit www.csceng.com, email csc@csceng.com or call (800) 807-1118.